Groo, Yorik, and Lurk are the best of friends and love to travel together since their skills compliment each other so well. Here we see them on their way to the Summit Inn for a night of fun and frolic. This is very nice, shmails! 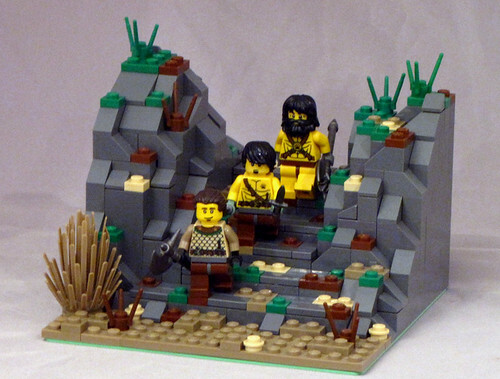 The rocks are a nice touch and I like your use of torsos and that caveman beard. IMO, you have the best looking bar fight intro so far!